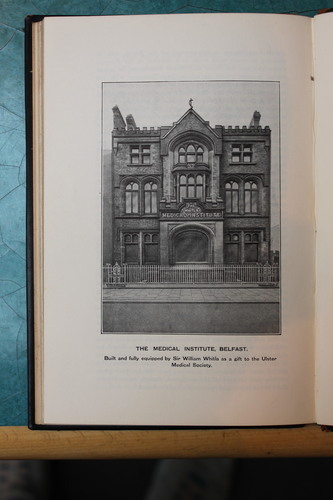 This building was built and fully equipped by Sir William Whitla as a gift to the Ulster Medical Society in Belfast. 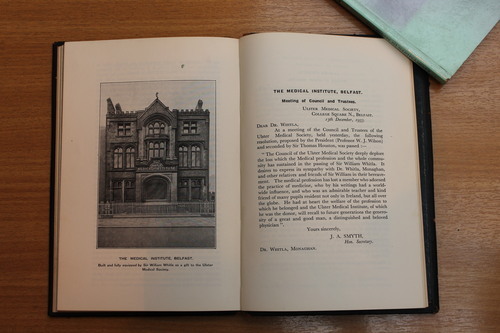 The construction of the building began in 1874 and was completed in January 1876 even if it was opened in May 1876. 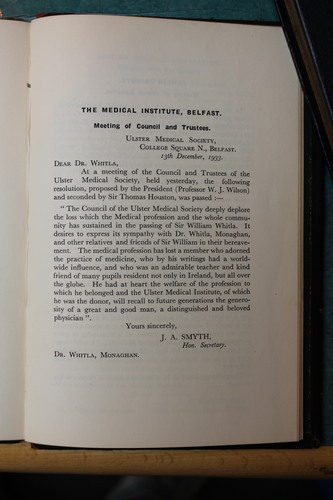 It contained accommodation for the university departments of geriatric medicine, anaesthetics, oncology, mental health and therapeutics. 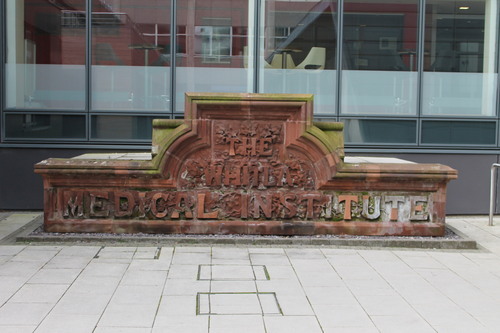 Today, only the stonework with the name "Whitla Medical Institute" remains of the old Institute; it can be seen near the entrance to the new Whitla Medical Building.